The work “The Artist is Absent – Perform Yourself” consists of a dance floor, headphones, music and a banner inviting the audience to take part, claim the stage and dance in the spotlight to a range of genres from waltz and foxtrot all the way to funk and techno. Audience are invited to perform by dancing on the dancefloor. 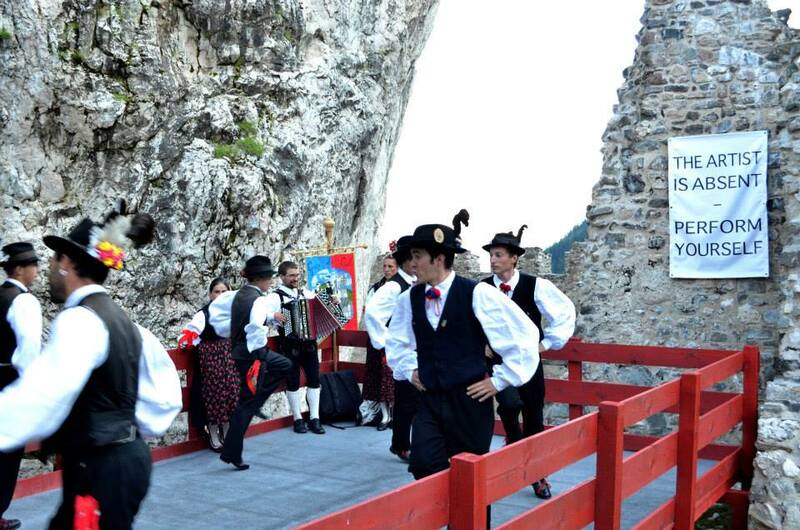 For the opening Hannes Egger invited the local folk dance group to perform the installation.